One of the best things about mobile citizen science apps is they are always with you. Whatever you do, whatever you see, no matter where you are, can be recorded and tracked. The best apps are also highly intutitive with a simple-to-use interface. So the two biggest obstacle to participating are easily overcome. At this point one of biggest remaining obstacle is choosing which citizen science projects to join. Most people are willing to join one, some join many more. But you can't do it all. Not only do you keep yourself from getting burned out, but channeling your effort on just a few projects improves the quality and quantity of your participation. So focus your efforts on the ones you like best. But how do you choose which projects to participate in? First get to know the variety of apps available...this site and the new Citizen Science for your Phone page are a great place to start. Also look for projects that will interest you both now and in the future; often this means a variety of different ways to participate, such as collecting data as well as analyzing it. You might also try apps in different scientific areas...moving between two keeps all parts of your brain busy and help prevent mental fatigue. These are just a few thoughts (there are entire blog posts possible on this topic!) but there are many more as well. On that note we present two more mobile citizen science apps below...WildObs-Observer and WildLab-Bird. Both are wildlife observation tools that help you identify and record animal sightings. This data can be useful for protecting endangered species, understanding migration, and tracking population growth. They also both collect data and make it available to public researchers to analyze and interpret (that means us!). So what are you waiting for...won't you check them out? Visit the WildLab web site to learn more about the project, and download the iPhone app (not yet available on Android). Register on the home screen with your name, e-mail address, and password. They don't ask for much. Take a walk in the woods are just gaze out your window for local birds. When you spot a bird use the WildLab app to identify it. First, tap "Species ID" and decide what type of area you are in: Woodland, Coastal, Wetland, or Grassland. Next, determine the basic type of bird observed. Next, narrow in on the exact species using the pictures as a guide. Finally, confirm the spotting by checking the bird's known range on the map ("Range") and listening to an example of its call ("Listen"). You can then add any notes, take a picture, share it with your friends (on Facebook), and submit it to WildLab. Your notes and observation will be recorded along with the time and location you made it. Visit the WildLab user site to view your sightings online and make any changes that are needed. That's it! Visit the WildObs web site to learn more about the project and register with your name, user name, and password. Download the iPhone or Android app. Both are free applications though they are supported by third-party ads. Take a walk in the woods or in your backyard, keeping your eyes peeled for wildlife. Once you encounter an animal you wish to record, open the app and click on "Species" and "Lookup by Species name" to determine the exact species being identified. You can add as little information (e.g., frog) or as much (e.g., American Green Tree Frog) as you know. Review the hit-list of possibilities (with pictures) to determine the exact species. Make your selection for close-up picture and links to encounters by other WildObs users. Click on "Record Observation" to confirm the animal's identity. This will bring up a screen for including a picture, description, and keyword tags. Tap "Save" to record the encounter and share it with the WildObs team. You may also share it on Facebook, Twitter, or Google+ if you wish. Hopefully one of these two new apps will be of interest to you. They don't require much work, but if you see something interesting and want to record if for posterity (and science! ), fire up this app and follow the directions. Biologists will thank you for it. One of the best things about citizen science movement blogging is discovering the wide diversity of projects available to users. Many have been created and each year more are added to the growing list of projects to join. But today we talk about a special project. A once-in-a-lifetime project. 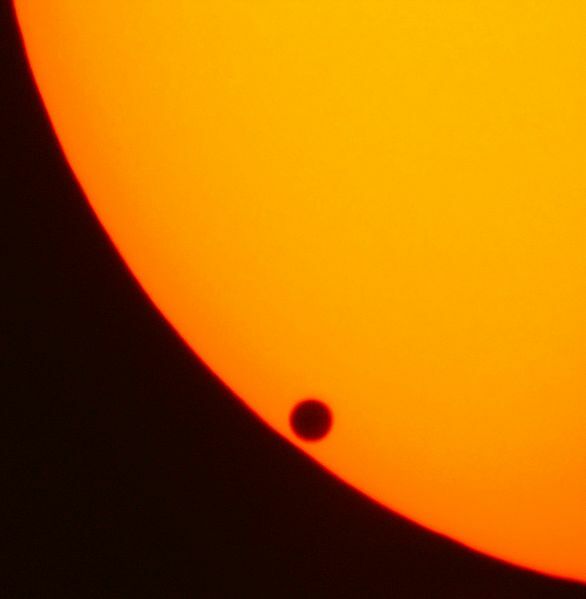 A project tracking the upcoming Transit of Venus across the sun. A similar event occurred eight years ago before the citizen science community was ready to participate. The next one is scheduled for June 5-6, 2012, and there won't be another until 2117. So this is literally our last-chance to get involved! During a Transit the Sun, Earth, and Venus line up perfectly. As Venus passes between Earth and the Sun, you can actually see it as a black dot traveling across the face of the Sun. Kind of like an Eclipse but much smaller and with a planet. Although fun to watch for the sheer neatness factor, it has played a very important role historically in our understanding of the sky. By positioning observers across the globe and precisely recording the time the Transit started and stopped, astronomers could calculate the distance between the Earth and the Sun. It just took a little understanding of geometry (the principle of Parallax) and accurate data. Obviously we already know the distance to the Sun and don't need a Venusian transit to calculate it. However, there are still very important research being performed during this upcoming event. Some scientists will be analyzing light passing through Venus' atmosphere to get a better idea of what the air is made of. This helps not just for Venus, but as a "calibration run" for observing far-distant exoplanets as they cross in front of their own parent stars. This helps us learn the limits of exoplanet observations and can provide clues for getting more information during future exoplanet transits. So what are you waiting for? June 5 is almost here! Learn more about the upcoming Transit of Venus and the history of transits at TransitofVenus.org, a web site published by Astronomers without Borders. Download the VenusTransit mobile app for iPhone or Android. Open the application and click on "Visibility". It will find your current location and tell you when the Transit can be seen in your area. Now you need to get ready for the event. First, pick up some eclipse shades, welder's goggles, or other heavy-duty eye protection. Staring at the sun literally causes blindness so you want to be prepared. Pick some up at a local hobby shop, an astronomy web site, or even Amazon.com. Practice making transit observations using the app's simulation function. You will see a video clip of Venus from the 2004 event and must correctly log it's start/times. Just press the timer when the planet first fully enters and first exits the sun's sphere. After each attempt you will be given the "actual" observation so you can continue practicing your skills. On Transit day, watch the sun (using proper protection!) and click on the app's "Timer" button. Start and Stop the timer as the planet enters and exits. The phone will do all the rest, although you can provide extra data or pictures once the Transit is over. The Transit is fast approaching and there won't be another for 115 years. So download the app now, pick up some glasses, and run a few simulations on your phone. And if you get any good pictures send them my way. I'd love to see them! Last year we first looked at the GalaxyZoo: Hubble project from the Zooniverse. This well-designed project needs your help cataloging the wide variety of galaxies captured by the Hubble Space Telescope. It's been a highly successful project that has published a number of peer-reviewed papers based on the data collected. Not only is it easy to learn and fun to participate in, but it makes an important contribution to the field of astronomy. Building on this success, the Zooniverse group has created it's first mobile application based on GalaxyZoo. Everything is pretty much the same...participants are asked to identify the same features on the same images as those in the online version. But as a phone application you can do it anywhere and anytime. So if you have a few minutes to kill at the Subway stop or want to show your friends at the pub the fun of citizen science, this application is for you. Visit the Zooniverse sites online to register as a user. They don't require much information (only name and e-mail); just enough to give you credit for your work. Download the GalaxyZoo App from either the Apple App Store or Android Play Store. It's free from both so don't worry about the credit card. Start the app and log on with your username and password. After a short delay to stockpile (e.g., download) galaxy images, click "Done" to get started. 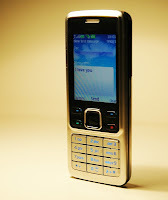 Question 1: Is the galaxy simply smooth and rounded, with no sign of a disk? Question 2: Does the galaxy have a mostly clumpy appearance? Question 3: Is there a sign of a bar feature through the centre of the galaxy? Answer each to the best of your ability, but don't stress over each image. Many other people will also be reviewing them with the results combined to help reduce any potential errors. You can also go back at any point with the "Undo" feature in case you want to change an answer. 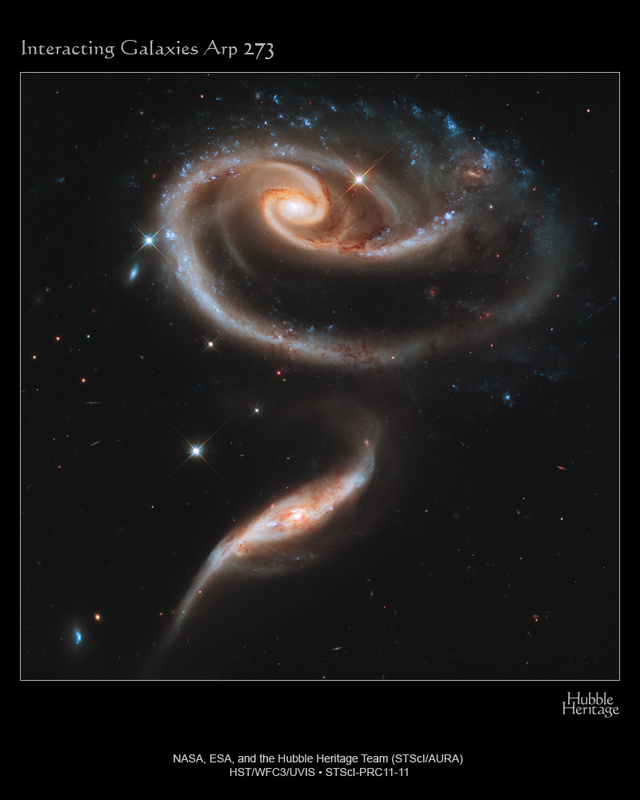 If some of the galaxies are difficult to classify or you don't understand what the researchers are looking for, check out the online tutorial for descriptions, examples, and sample quizzes. If you have further trouble with any aspect of the app, check out the GalaxyZoo iPhone instruction page for help. That's all there is to it. Hopefully you'll have as much fun with this mobile app as you have with the many other Zooniverse citizen science applications that are also available. But if not, check out some of the many other programs we're collecting on the new "Citizen Science for your Phone" page. Finally, let us know if you have any more mobile citizen science apps you'd like us to highlight. We always appreciate the help! Today we offer a brand new feature on OpenScientist...a listing of all the mobile iPhone and Android citizen science applications now available. Some of these we've discussed before but now all projects can be found in one place. No need to search around for them any more! Just follow the "Citizen Science For Your Phone" link on the left-hand side to find them all. Over the next few days and weeks I'll be adding even more apps to the page. But don't let that stop you...there are a number already listed. Check it out and download some free mobile apps now! Last year we talked about the OldWeather project and it's attempt to gather data from 100-year old naval records. All ships back then recorded local conditions in a highly consistent way, creating a reliable record useful for climate change research. They also traveled across the globe, providing a rich data collection unmatched elsewhere. 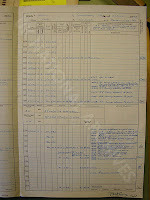 As citizen scientists we were asked to view images of the ships logs and transcribe the data into a usable electronic form. This program has been going strong with many ship's logs completed. Find out more, or better yet, join the action, by reading all about it here on OpenScientist. But that's not all. The logs provide more than just weather data, they also provide key insights into the ship's journeys and reveal much about life at sea. This is of great interest to naval historians who have set about turning these logs and transcriptions into a compelling narrative. And they need your help too. Visit the OldWeather web site to learn more about the project and the ships being researched. Find a ship you are interested in and whose logs have already been transcribed. 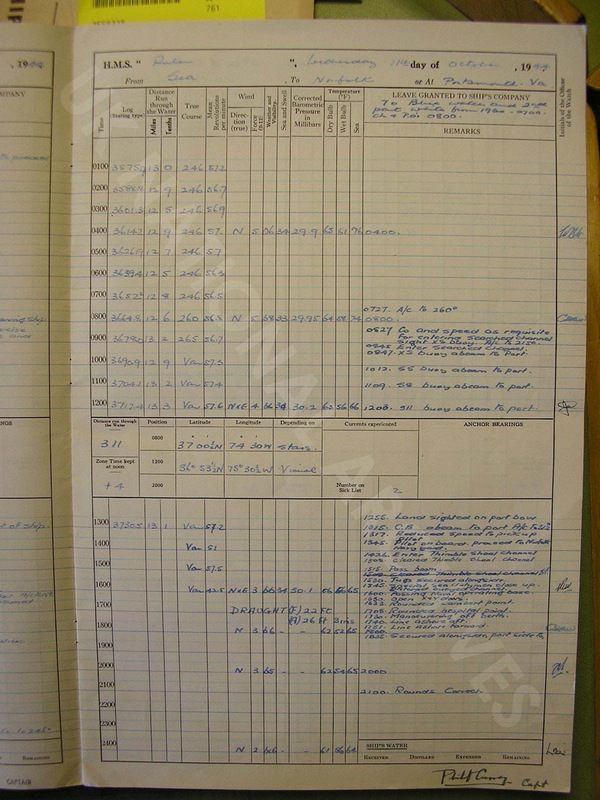 Visit the Naval History Homepage to learn more about the log editing project. Let the editors know which ship(s) you are interested in editing by sending an e-mail to naval-history@ntlworld.net. They will respond back with a Microsoft Word file containing a raw feed of the transcribed logs. Now you can start editing! Learn the common abbreviations and style requirements at , and you will also receive instructions with the e-mail word file. Follow them closely so everyone can produce a consistent product. Mail your finished narrative to the Naval History editors. That's all there is to it! The beauty of this project is that it not only lets you work with important scientific data from the last century, but it brings that data to life with the exciting voyages taken to collect it. So we get to enjoy citizen science from a whole new perspective. Isn't it fun to see things with fresh eyes? We've all seen meteors flash across the sky. It's an awe-inspiring sight to watch as an ancient rock ends its billion-mile journey in our atmosphere. But have you ever actually found one after it fell?!?! Go ahead and put it on your mantle, but please take a moment to share news of your find with scientists. Though thousands of meteorites have been catalogued already, each new one is a fresh data point, and could contain a key to one of the many unanswered questions about the solar system's formation and evolution....If you need further incentive for finding something that was forged at the birth of our sun and contains secrets about the nature of our solar system, there's this: Space rocks are worth as much as $1,000 per gram. So what are you waiting for...get hunting! I should also note that this is exactly the type of article highlighted on our Facebook and Twitter feeds. This one was too good to pass up and got posted here. But most don't. Instead I focus on citizen science project descriptions, opinion pieces, and larger articles in this blog and leave the smaller items for my social media sites. So don't just read one...read both! Sign up now and donit miss a thing. Thanks for being patient as I recharged the old batteries. Now I'm back from vacation tanned and rested. So it's time to continue the OpenScientist journey...because citizen science keeps moving forward. Starting simple, today I'm looking at a new contest from NASA and the European Space Agency. They want our help combing through millions of archived Hubble Telescope pictures to find the most breath-taking, iconic pictures possible. Sure thousands have been published in the telescope's 25 year history. But there are many hidden treasures that have not been publicized and are waiting for us to discover them. There are actually two parts to the contest: the first is searching through the archive for interesting pictures. Although you can make a few artistic changes to them (like cropping the edges or increasing the contrast) you are mainly submitting the raw image as your contest entry. The second version asks contestants to alter the images using any photo-manipulation software they wish. So you can just do a scan for cool photos and submit as is, or let your creativity run wild. Winners of this contest receive the main prize of seeing their pictures prominently publicized by ESA and NASA. But adding spice to this dish, the winner of the contests can win an iPod Touch, iPad, and other items. So what are you waiting for? Visit the Hidden Treasures web site to learn more about the telescope and read the contest rules. Read instructions on how to participate in both the Hidden Treasures 2012 Contest and Hidden Treasures 2012 Image Processing Contest. Watch tutorials on searching the Hubble archive here. Once you've found an interesting image, play around with the image a bit by adjusting the sky darkness, lightening or darkening the image, and cropping it in an interesting way. It's just a minor amount (outside of the image processing contest) but can really make the image pop. Once it's set, save it by clicking the floppy disk icon. This will add it to a public Flickr account for the world to see. Just make sure to add the image's name and the URL where it is located in the archive so everyone else (including the judges) can find it. I think you'll find this a fun and interesting project just by itself. The iPod and iPad prizes are just bonuses. But even more, I hope you have fun searching an existing archive of real-world NASA data for your own important discoveries. There is a world of new information that professional scientists have only begun to crack. They make the data available to everyone...it's up to us to use it.